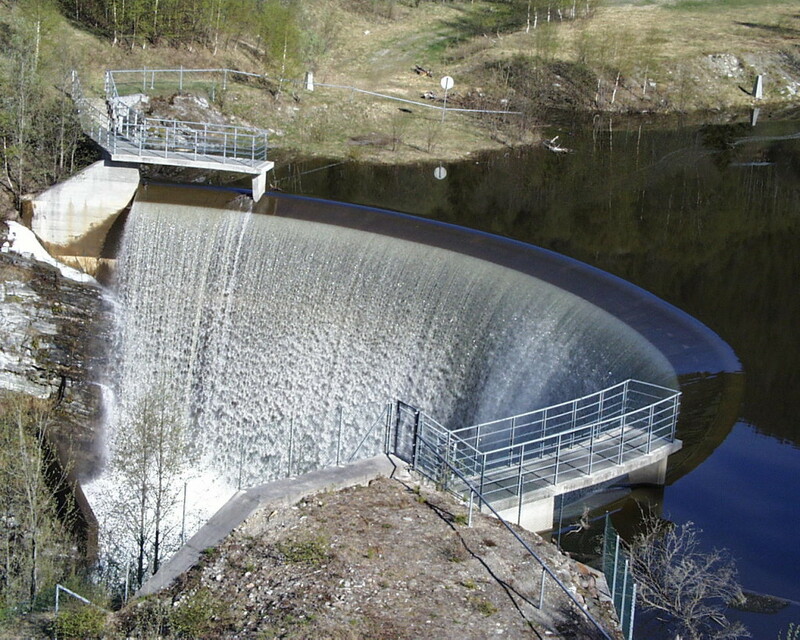 Norwegian state-owned power company Statkraft is by far the largest power producer in Norway. The company produces almost all the electricity by hydropower plants, often at a very low cost. Large share of the electricity Statkraft is selling today, is produced to fulfill long-term contracts with heavy industries, such as aluminum smelters in Norway. The tariffs for most of this power are very low; in general substantially lower than the electricity price on the spot market of Nord Pool Spot. 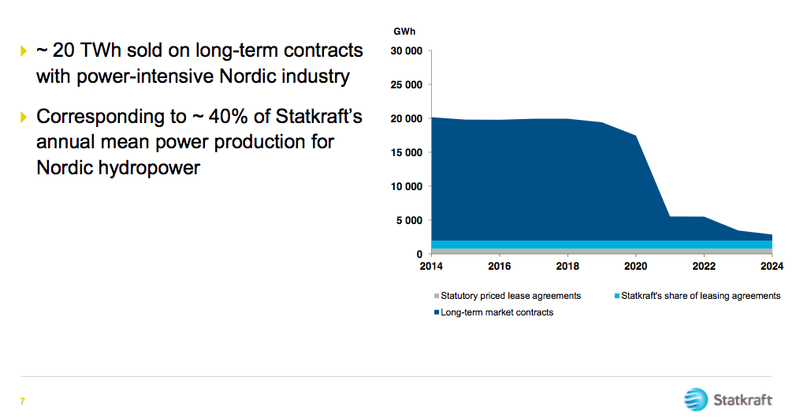 In the coming years, most of these contracts will run out, creating a great opportunity for Statkraft to increase its revenues and profits. 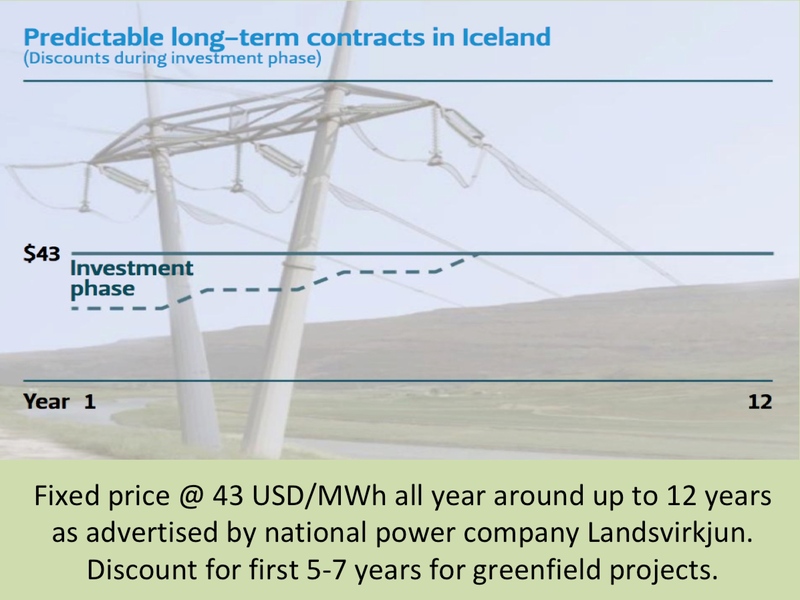 Today, close to 20 TWh of Statkraft’s production are sold by long-term contracts. This is approximately 40% of all the electricity Statkraft generates by hydropower stations in Norway and other Scandinavian countries (Statkraft has significant operations outside of Norway, particularly in Sweden). Within a few years, Statkraft will be able to put up to 15 TWh of extra electricity into the spot-market. With the construction of the NSN Interconnector (or North Sea Link) and NordLink, Norway will soon have stronger transmission-links with Britain and Germany. These HVDC cables will have a combined capacity of 2.800 MW. This access to the higher priced European spot markets will open up the possibility for increased revenues for Norwegian-made green electricity. Although it is possible, and even likely, that some of the long-term power contracts of Statkraft may be re-negotiated, the new cables and expired contracts will create unique opportunities for Statkraft. Making Norway’s position as a giant green power battery even stronger. This is a path that other countries with extensive hydropower resources may follow, making Northern renewable energy even more profitable than it presently is.